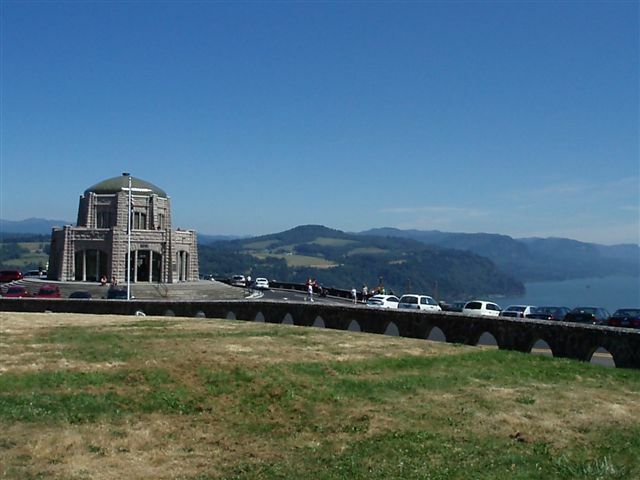 We’ve completed a lot of projects over the past 93 years – but one that has remained a favorite of ours is the Vista House at Crown Point in Multnomah County, Oregon. 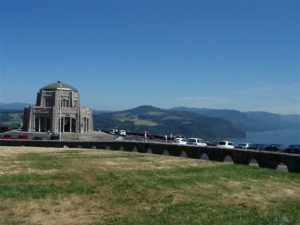 Vista House, 30 minutes outside of Portland, is a museum that serves as a memorial to Oregon pioneers as well as a tourist attraction for those traveling on the Historic Columbia River Highway. The dome-shaped structure is perhaps the most recognized man-made landmark in the stunning Columbia River Gorge. It was back in 2007 when Gillespie was challenged with the task of making the then 88-year-old attraction ADA compliant and accessible to disabled visitors, all while maintaining its historic integrity. In addition, state authorities wanted to retain and use the existing marble floor. We were up for the challenge! We quickly got to work on a solution, deciding that a sidewalk-type elevator with a vertical lifting door/top that rises whisper quiet from the floor of the Vista House rotunda would do the trick. And it worked out great. As the elevator descends to the basement, the top merges again with the rotunda’s ornate floor, with only a seam of its outline visible. Lastly, a “pan” was installed to preserve the existing floor by encompassing and protecting the almost 100-year-old marble. Gillespie won the Elevator World Project of the Year Award back in 2007 for this job and it’s still a company favorite!